A House Smart Home Improvements energy advisor is available at no charge to you, to visit your home to identify how your home uses energy and where it is being wasted. Our in-home consultants will show you how to improve the comfort of your home and cut down on heating and cooling costs, while ensuring adequate ventilation for a healthy indoor environment for your family. Some of the energy saving products that may be recommended include replacement vinyl windows and doors, energy-efficient furnaces, attic, wall and basement insulation, thermostats and a bathroom fan with a dehumidisat and timer. Our energy advisers can help you understand what it takes to make a home energy efficient, by offering many draft-proofing ideas. As well, a financing program is in place to help homeowners improve the energy efficiency of their home. Most owners can Power Smart™ their home at a cost of $75 to $145 per month. Keep in mind that your heating cost can be reduced by as much as 50% or more. 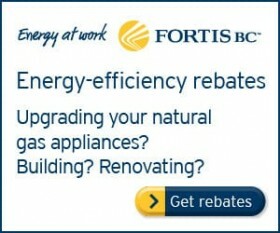 See Energy Saving Products for more details.